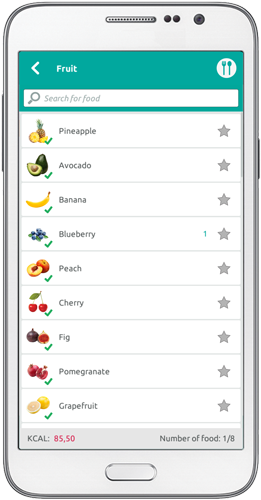 Nutrition Navigator Plus is a utility that informs us about what a particular food brings to our body. User learns that it is not possible to prepare each meal perfectly, that there is nothing wrong if you indulge in a treat now and then, however, it is important to balance your diet during the day or week, and provide your body with an appropriate energy intake, including enough fat, protein, carbohydrates, vitamins and minerals. It draws attention to the excessive consumption of salt, sugar and saturated fat which is the most common cause of the modern times diseases. With the application the user monitors how much water we consume daily, as we tend to forget due to the pace of life and only remember when our body is already dehydrated. Although we have similar structure and functioning of the body, they are similar, not completely identical. Each of us is a unique, lives her/his own rhythm of life, has a variety of physical and mental stress, specific taste, preferences, habits. In line with this, we also have a different style of eating – typically we select on the basis of taste and habits. Those who are more conscious are usually looking for additional information on food. We all know that we should seek more information, but time runs out, perhaps we feel overworked, after all we are not willing to give up enjoying delicious foods, our perception is that healthy food does not taste as good as« other« food. But do we really know what our body needs? 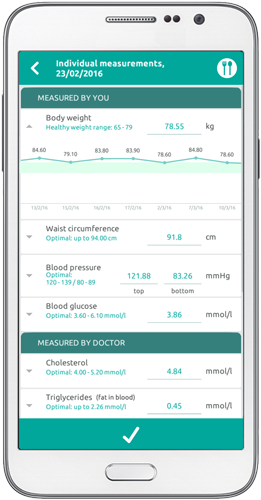 The application is based on expert dietary starting points and based on the person’s lifestyle data it calculates the individual’s need for nutrients. 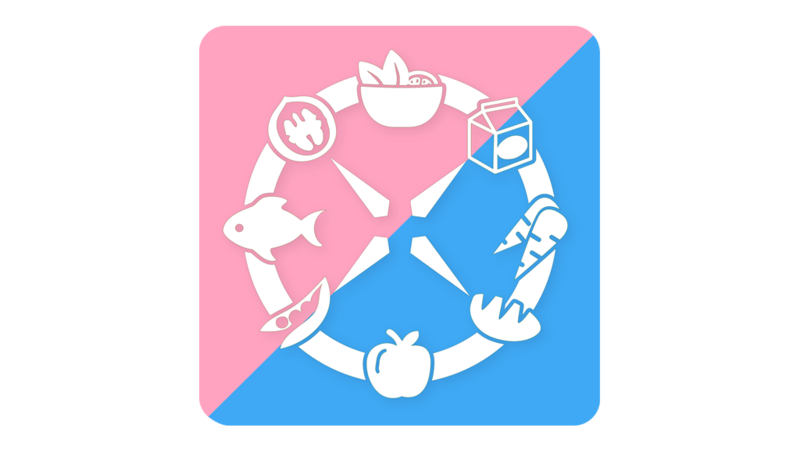 For the functioning of the Nutrition navigator there was a special database of foods developed, which is constantly upgraded. For each food type are available data on fat, protein and carbohydrates. 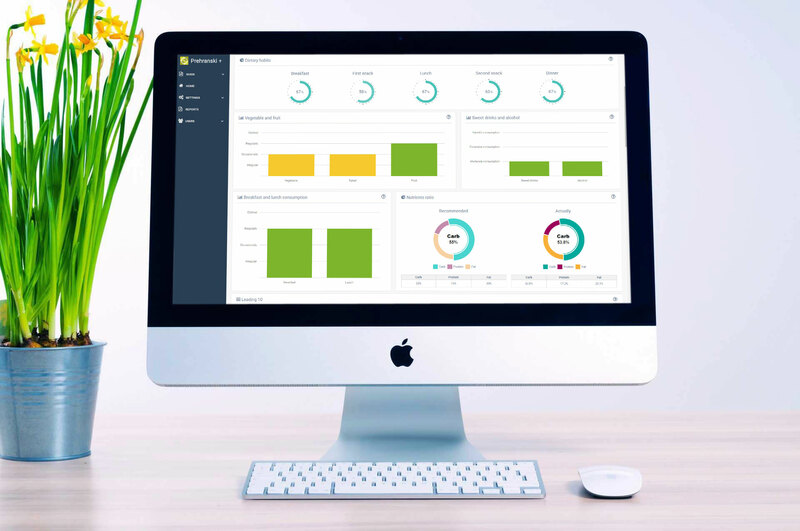 The database consist also some other data like content of vitamins and minerals, but at this stage that info is not yet displayed in the printout of daily values. 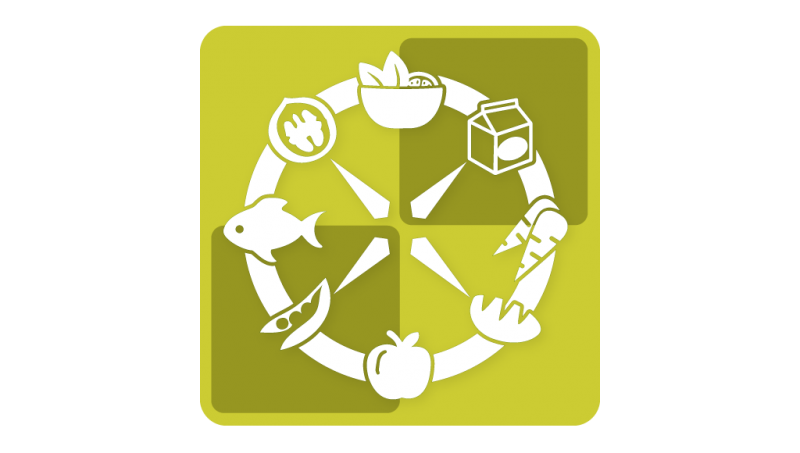 Nutrition Navigator is a tool that does not distinguish between good and bad food but only informs about what a particular food provides the body. User learns that in everyday life usually is not possible to prepare each meal perfect, that there is nothing wrong every now and then to indulge a treat. Important is that user knows how to balance fat, protein and carbohydrates during the day or week. 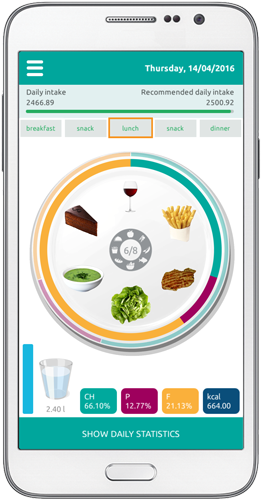 That is the reason why we have named this app Nutrition navigator – it helps users to navigate among their daily choices what to eat in order to become healthier or to maintain health. 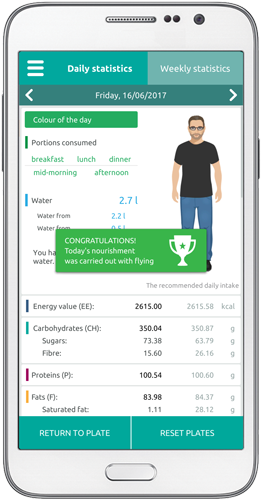 The application enables users to follow the distribution of individual values of energy, macronutrients and water intake achieved per day or per last seven days or with special module engaged also for longer period of time. By using Nutrition Navigator plus anyone can detect if the vitamin and mineral intake is according to the need of his/her body.